Controls over 75 insects and pests. 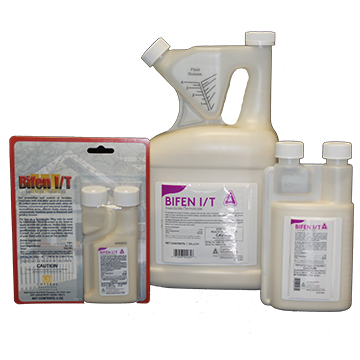 Insecticide and termiticide that provides control over 75 insects and pests for both indoor and outdoor use. Can be used in and around homes, commercial and industrial buildings, recreational areas, athletic fields, lawns and ornamentals, livestock and poultry houses. 4 Ounce - 1 bottle (4 oz.) concentrate yields 4-8 gallons of finished solution. 16 Ounce - 1 pint (16 oz.) concentrate yields 16-32 gallons of finished solution. 1 gallon - 1 gallon (128 oz.) concentrate yields 128-384 gallons of finished solution. Manufactured by Control Solutions, Inc.
adelgids, American dog ticks, annual bluegrass weevils, ants, aphids, armyworms, bagworms, banks grass mites, bed bugs (not in residential areas), bees, beet armyworms, beetles, billbugs, biting flies, black turfgrass ataenius, black vine weevils, boxelder bugs, broad mites, brown soft scales, budworms, California red scale centipedes, carpet beetles, carpenter ants, centipedes, chiggers, chinch bugs, cicadas, citrus thrips, clothes moths, clover mites, cockroaches, crane flies, crickets, cutworms, deer ticks, diaprepes, dichondra flea beetles, earwigs, elm leaf beetles, European red mites, fall webworms, filth-breeding flies, firebrats, fleas, flea beetles, flies, fungus gnats, gnats, grasshoppers, gypsy moth caterpillars, hide beetles, hornets, imported fire ants, Japanese beetles, lace bugs, leaf feeding caterpillars, leafhoppers, leafminers, leafrollers, litter beetles, mealybugs, midges, millipedes, mites, mole crickets, mosquitoes, moths, orchid weevils, pecan leaf scorch mite, pillbugs, pine needle scales, pine shoot beetle, plant bugs, psyllids, roaches, San Jose scales, scorpions, silverfish, sod webworms, sow bugs, spiders (including black widow spiders), spider mites, spittlebugs, springtails, stink bugs, subterranean termites (genera Reticulitermes, Zootermopsis, Coptotermes and Heterotermes), tent caterpillars, thrips, ticks, tip moths, treehoppers, twig borers, wasps, weevils, whiteflies, wood-infesting beetles (including but not limited to old house borers and powder post), yellow jackets.